Booking Hosting Space? You Must Read This First! Make Sure you have FTP Details to get access to your website! I hope readers are going through Recommended Reading Sequence and getting step by step guide to Digital marketing. I want readers to understand importance of website and multiple components associated with the same. In earlier articles we covered about first step - website designing & Domain booking.So assuming you have given contract of website designing and your domain is already in place; what next ? 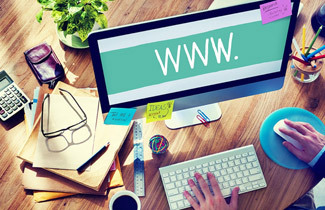 When your website is ready with domain name already booked; you need to buy virtual space which is known as Hosting Space on a server connected to Internet 24x7 and copy the website on the same. Once again this too is normally booked by website designing agency. Ideally domain booking and hosting should go together but many time people block the domain but don't buy the hosting space as they want to buy space only when their website is ready. So when you type www.domainname.com you don't see any page loading or might see page not found error. This also means domain name is in place but it's not connected to hosting space. As explained above; hosting space and domain booking need not go simultaneously and if you wish you can book it separately; But they are as such inter-connected - refer to article "Domain-An ID Card For Your Website". Domain booking control panel store the IP Address for your hosting space. So when any user types www.yourcompanyname.com based on the hosting space you bought and IP stored while booking domain gets directed to your website where you have published details about your products or services. Like domain control panel password you get hosting password or technically known as FTP details; this allow you to manage / replace pages and images you stored on webspace you bought. As explained earlier when you pay for space and host site data without an access to it is like you paying rent of the place you bought arranged furniture and fixtures but can't enter or use it as you don't own the key. You being the owner of space for a year make sure you acquire FTP login details from your website designing company or service provider. For smaller size of hosting space (100 - 250 MB) you can get it in the range of Rs.3500/= to Rs.5500/= a year depending on server quality , speed and bandwidth allowed. Please note hosting space is different from space reserved for email. If your site is static (without database) with say 25 pages and 50 Images; you might not even need 10 MB. This is very important for you to understand as hosting service provider claim unlimited hosting space which you are anyways not going to use; so why to pay for the same? At the end; these things are normally taken care by web designing company; the theme of kotak.co.in is educating you so you don't buy technical services without knowing your rights. Even if you don't pay attention on these facts and if your vendor is genuine your site will still run without problem. But if something goes wrong with the contract between you and vendor; you will stay with no control if you don't own domain & Hosting login details. This leaves you with the mercy of your vendor or you have to start all over again and you might not get the same domain name. Even when you decide to move to other hosting space or provider due to regular technical problem and if you don't have FTP details you can't migrate site to new server unless & until you have stored copy on your local machine. The whole point is its your own data, its space you bought, it's about you who's paying the rent and hence you must own the right to use! Finally its your virtual office! Hosting Space–From where should I book it? Understand Keywords to generate leads online!